Performing Under Pressure is an essential resource on improving sporting performance in high-pressure situations. Perry’s work guides coaches and athletes through nine key elements of the sporting mindset to help athletes to perform at the highest standards, even under the most pressurized of situations. This valuable read includes empirically-based advice on areas such as embracing competition; building confidence, concentration and focus; maintaining emotional control; learning from and coping with failure or injury; being braver; and being able to push harder. Perry also provides 64 strategies to support each sporting mindset, offering not just the evidence as to why they work but exactly how to implement them. 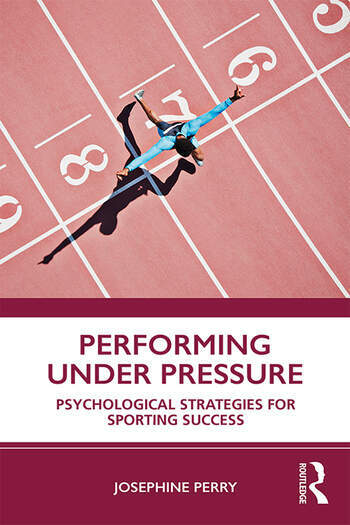 This book uniquely offers those supporting athletes a toolkit of sport psychology strategies and interventions in a way that is evidence-based, accessible and engaging, whether you are starting out studying sport psychology, on a sports science course, or are a coach of many years standing, for both elite and amateur athletes. Josephine Perry is a chartered Sport Psychologist based in London. She is a member of the British Psychological Society, British Association of Sport and Exercise Science and the Association of Applied Sports Psychology. She is the Director of Performance in Mind, a Sports Consultancy. Josephine works with both novice and elite athletes to help them perform better under pressure so they can achieve their goals and enjoy their sport more.